Embarrassed by ugly, yellow deformed nails? 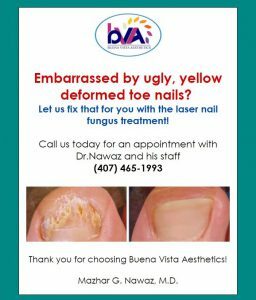 Fungal infections can cause the nails to become discolored, thick, yellow, and curved. Nd: YAG laser (1064)nm which is also used for aging spots and sunspots; can be used with no drugs and no Anaesthesia. 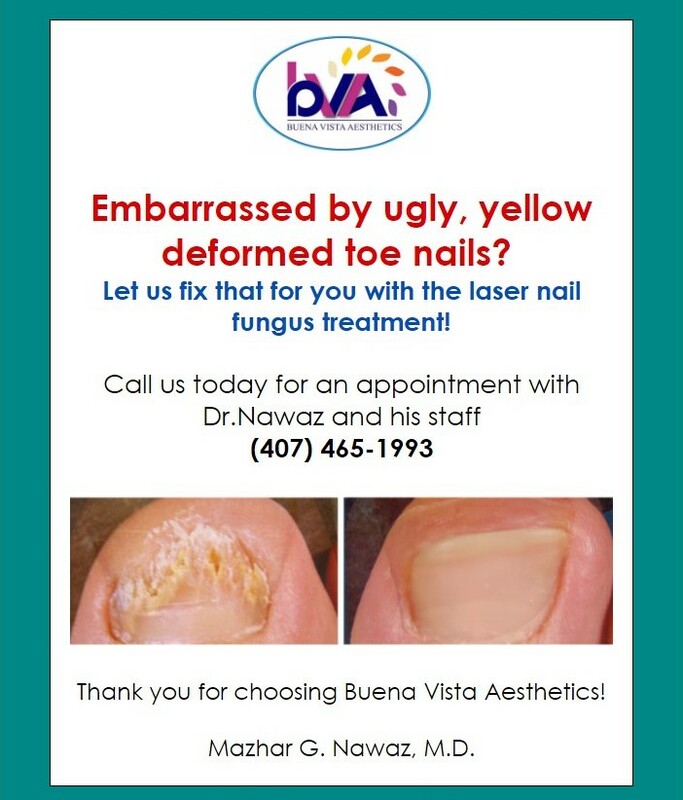 The laser light passes through the toe-nail without causing damage to the nail or the surrounding skin. However, the nail will not become clear instantly. Most patients will be cleared after 4 to 8 treatments. You can apply nail polish immediately after the treatment.